Stressful days have met their match! This 5" stress ball is semi-soft and colorful for the ultimate in stress relief. Children, teens and adults will find this one therapeutic. Makes a great gift too. Size 5". I love it! I've been squishing it since the day I got it and I love the texture. 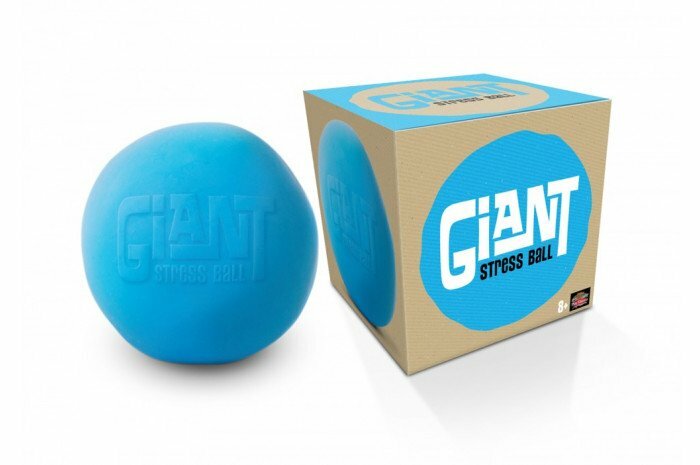 As the other reviews say, it's not the most durable, but I've had this kind of stress ball before (in a much smaller size) so I knew to be gentle with it, be careful with my nails and not leave it on magazines or any other kind of paper with ink or pencil on it because it will stain. Honestly, as long as you take care of it, this is a fantastic toy. This is a fan fave in my office. All ages love squishing this ball. The only problem is that a client was squishing and his nail punctured the ball. It doesn’t ooze out liquid, almost like foam/glue material. Bummer I only had about a week. BUT I believe it will hold up for a while. I plan to purchase another one. Fun for the kids to play with, but becomes dirty very quickly... almost stained, and doesn't wash off. Loved it but it broke on the first day! Loved it but it broke on the first day! I won't be purchasing another one because I think it might be defective or just not durable for use with kids. i love it so much its awesome.